Each week we will feature a new landslide in Washington State. Washington State is covered with dynamic and sometimes quirky landslides. The Aldercrest Banyon Landslide is one of Washington’s famous landslides. It was the second worst landslide disaster (in cost) in the United States, following the Portuguese Bend Landslide on Palos Verdes Hills in Southern California, 1956, where 130 out of 160 homes on a ancient landslide were damaged or destroyed destroyed when the landslide reactivated. 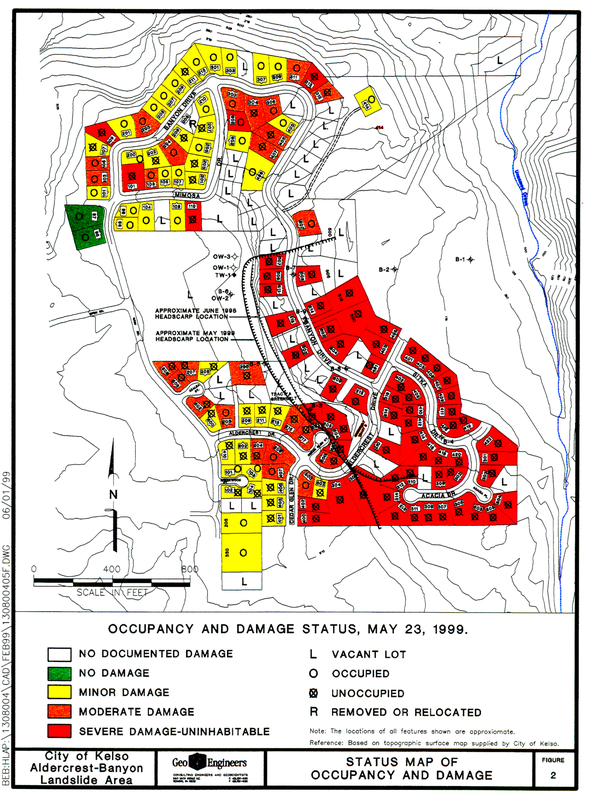 In October of 1998, a federal disaster declaration was issued by President Clinton for 138 homes affected by the landslide (Wegmann, 2006). The destruction exceeded $70 million, but the buyout for the houses was 30 cents on the dollar and totaled around $30-$40 million. Deep-seated landslides are difficult to determine the cause of movement. This landslide was a relict landslide that could have been many thousand years old. The original triggers for movement are gone, perhaps an earthquake, a series of storms or prolonged (for years) rain, or maybe perhaps some sort of removal of lateral strength, by a stream or river. In modern day, the causes can be just as difficult to determine and each scientist has their theory, sometimes in agreement with one another, more often, not. 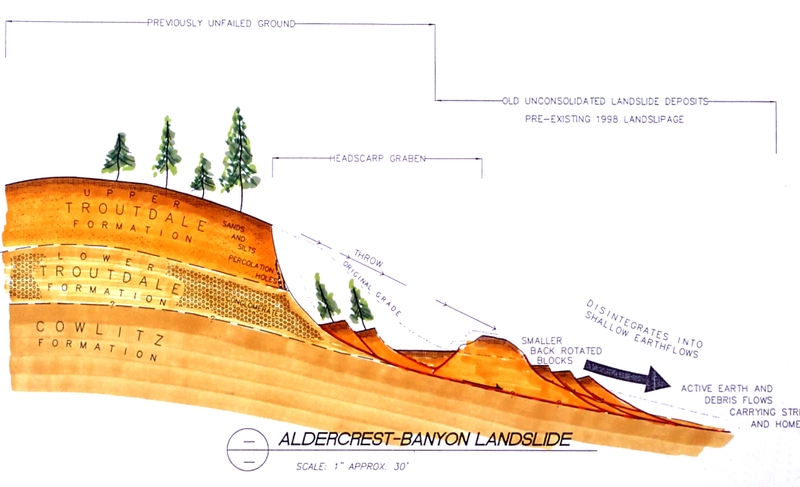 For the Aldercrest Banyon landslide, the only theory most people seem to agree on is years of higher than average above rain probably played a big role. Karl Wegmann (who was a landslide geologist here at the Washington Geological Survey) states in his publication that 6 years of increased rainfall correlates to a period of increasing landslide activity (Wegmann, 2006). 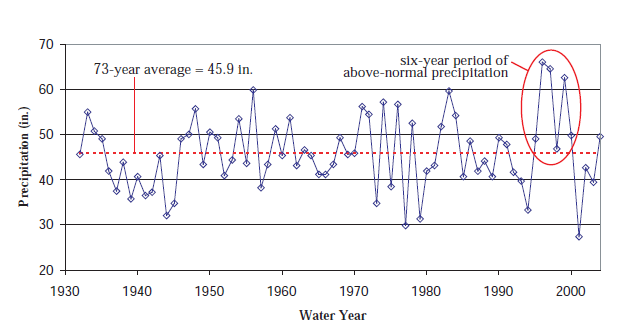 Others reduce this somewhere between 2-4 years of increased precipitation. As a friend of mine would ask about now, but there are many areas of above normal rainfall on the graph, why this time, why this event? We might want to look at when the housing district first was established in this area. The housing development was in full swing in the area in 1975-76 with what I suspect is a septic system, although it could be sewer. With an increase in houses comes an increase in house related activities, watering the lawn, roofs pouring out water in the downspouts, concentrating water, etc. All things bad for landslide stability. Increased in rainfall would rates could have contributed to the reactivation of the landslide as well. The subsurface in any landslide is an important characteristic to study. The area surrounding the landslide was mapped by Walsh et al., 1987. The deposits that the landslide sits on is known as the Troutdale Formation, which is appoximately 2 to 14 million year old Columbia River deposited gravels, sands, silts, and clays. Under the Troutdale is the Cowlitz Formation(roughly 38 million years old), depositing silt, sand, and mud in a near-shore marine deposition environment. The formation creates areas of weaknesses at the contact between the Troutdale and Cowlitz Formation (and probably somewhat between the upper and lower Troutdale Formation).The increase in water over time probably contributed to increasing pore water pressure between the contact. This combination is present in many areas around the Kelso area and is probably responsible for much of the instability in the area. 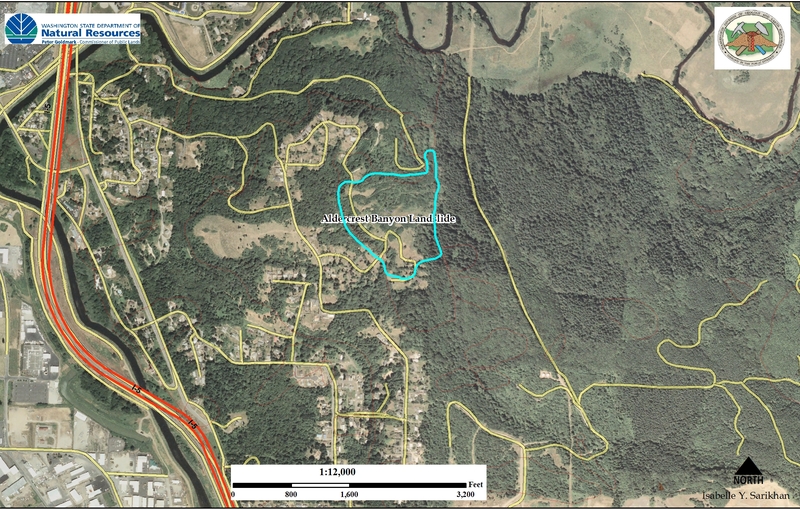 The Aldercrest Banyon Landslide got the attention of many people. Its destruction caught the attention of the legislature, who initiated a landslide mapping project within the Washington Geological Survey. 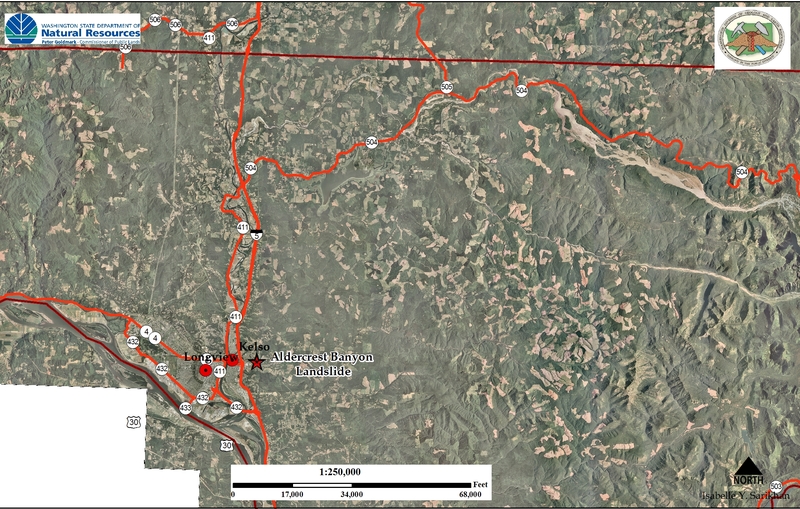 The landslide also propelled counties to look closer at landslide hazards to prevent another Aldercrest Banyon Landslide. Walsh, T.J., Korosec, M.A., Phillips, W.M., Logan, R.L., and Schasse, H.W., 1987, Geologic Map of Washington Southwest Quadrant. Washington Division of Geology and Earth Resources Geologic Map GM-34.